I get far more email than I am currently able to answer. Considerable email asks “how do I order a board”? I have updated the PC board ordering page in an effort to reduce these emails. I get a few emails asking technical questions about the PC boards. These will all be answered, but lately the I can only respond to Tubelab email on weekends. Tubelab email access is forbidden at work, and lately I have been at work until late almost every weekday. For now I can still check in to the diyAudio vacuum tube forum at lunch and after 5PM from work. 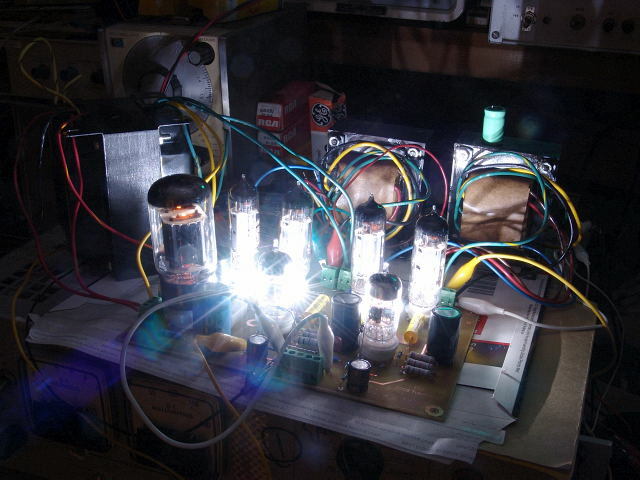 There is nearly always an active thread about Tubelab amplifiers under construction. 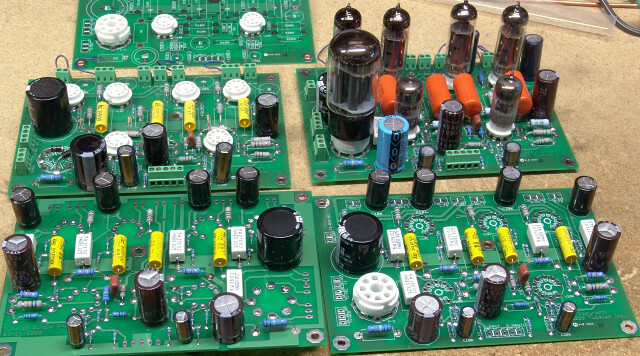 The people are friendly and there are plenty of people who have already finished their Tubelab amps if I am not available. Anyone can read posts, but you need to register to post questions or download anything. I have started compiling a FAQ page based on previous email and forum posts. It will be added to this web site as time permits. Posted in: Boards, Personal. Tagged: SPP. I am building this page on the road somewhere in western Pennsylvania. Sherri and I are staying at her mothers house for a short while. We should be returning to Florida in a week or so. The communications industry has been hit hard by the economic downturn with hundreds of layoffs in the plant where I work. I am usually at work 10 to 12 hours a day lately doing my best to stay employed. Unfortunately no job is totally secure, and the expenses associated with Sherri's mom have forced a careful optimization of Tubelab's expenses. So for now, Tubelab is operating with a fraction of my time, none of Sherri's, and limited funds. The budget for new projects is very limited so except for small parts all development projects in 2009 will come from my "junk box" which fortunately is well stocked. There is no budget for transformers or other costly parts. When the economy started to slow down last year, sales of PC boards dwindled too. This forced the delay in the launch of the Tubelab SPP. Fortunately it is nearly ready. For now future products must wait until the current new project (SPP) pays for itself. Posted in: Boards. Tagged: Driver Boards. The next step in the “not quite so Simple P-P” is a P-P Driver board. The design goals are simple, it needs to be capable of driving a pair of tubes to full power in P-P. It should be capable of driving anything from a pair of 6V6's or 6L6 type tubes in conventional grid drive up or cranking a pair of sweep tubes to near meltdown in screen drive or even cathode follower mode. 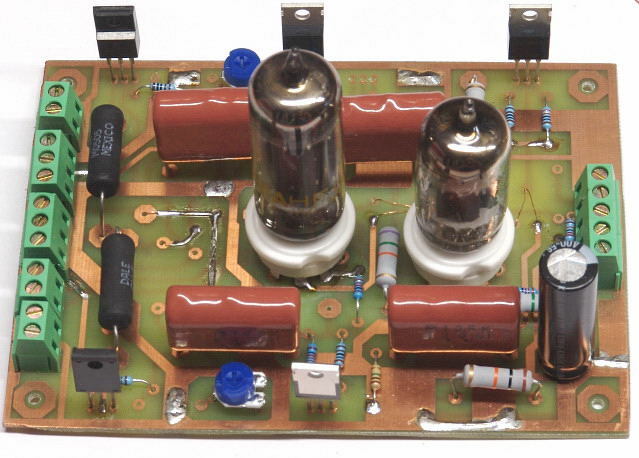 This board must be able to drop in to the original 300Beast amplifier, replacing its driver board while offering equal or better sound quality. OK, writing down some lofty goals on paper (or in the computer) is easy. Building the circuit and getting it to work is not. This project has been alive since before there was a Tubelab web site. In many ways it has evolved from my 300Beast amplifier. It incorporates a lot of the 300Beast design and many techniques that I have learned since the 300Beast was built. I laid out this prototype PC board in a hospital waiting room in Pittsburgh during the Christmas (2008) holidays. I started building it when I got back to Florida. When I completed it and powered it up I found that I had swapped the top and bottom layers when making the board, resulting in a mirror image of what I laid out. After nearly tossing it in the trash, I realized that all I needed to do was solder a set of tube sockets on the back of the board. The board is alive and working now. More details are on the Universal Driver Board page. 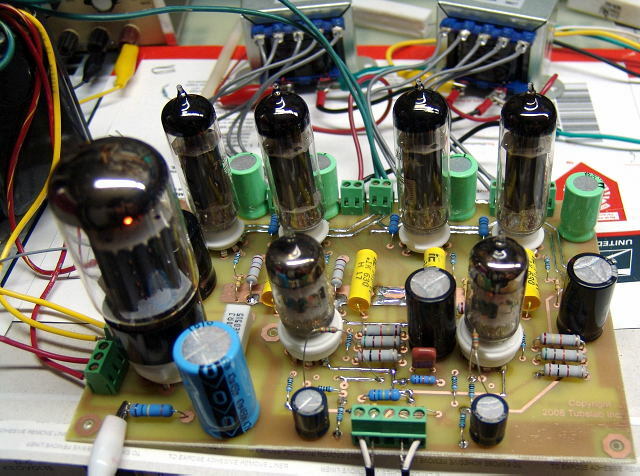 I have received numerous requests for an amplifier using all octal tubes. 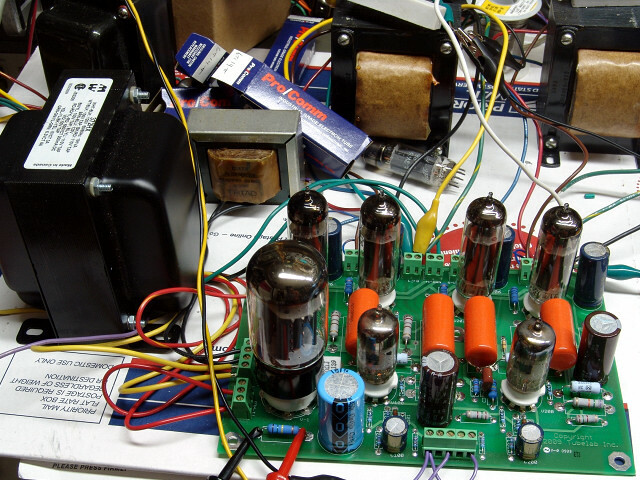 Octal tubes use up more board space than miniature tubes and are usually more expensive, so I have not done a completely octal amplifier yet. 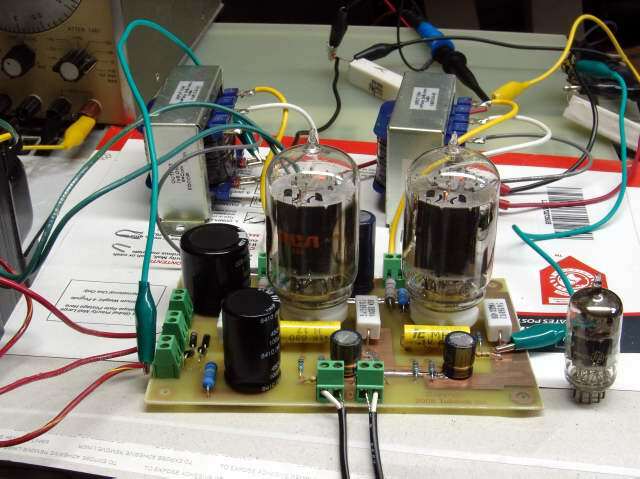 I decided that a complete P-P amplifier would not fit on a single PC board if it used octal tubes, so an octal tube amp must be broken up into blocks. 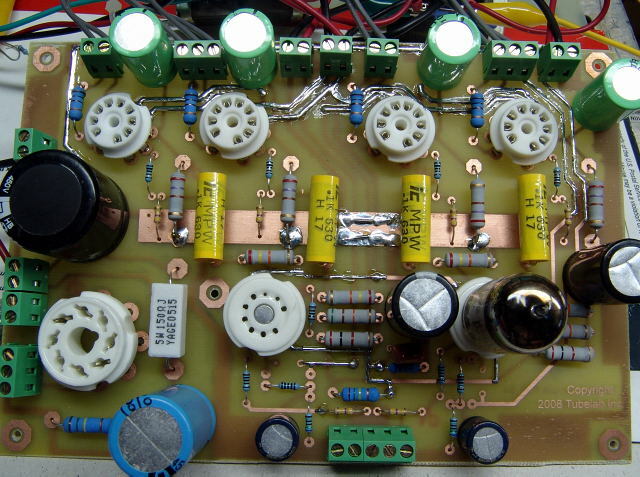 While working on the Universal Driver Board a thread developed on the diyAudio forum dealing with designing an amplifier using 6L6GC's in AB2. The thread originator desired to use 6SN7's for the driver tubes. I was assisting in a "paper design" effort by modifying a Universal Driver Board for this project. 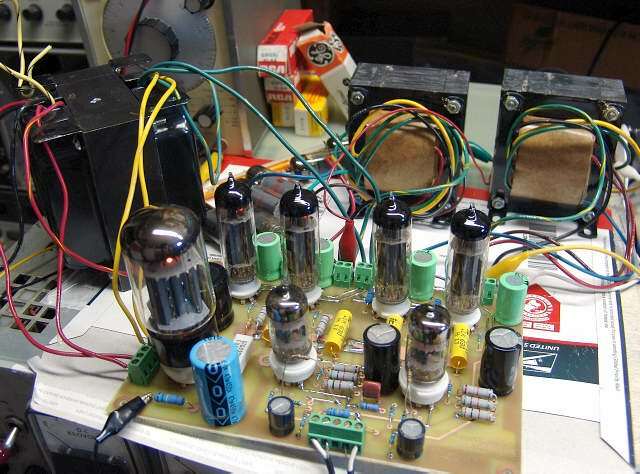 I got a little carried away and 350 forum posts later I had a working a prototype amplifier that used all octal tubes. See the Octal Driver Board page for more details. 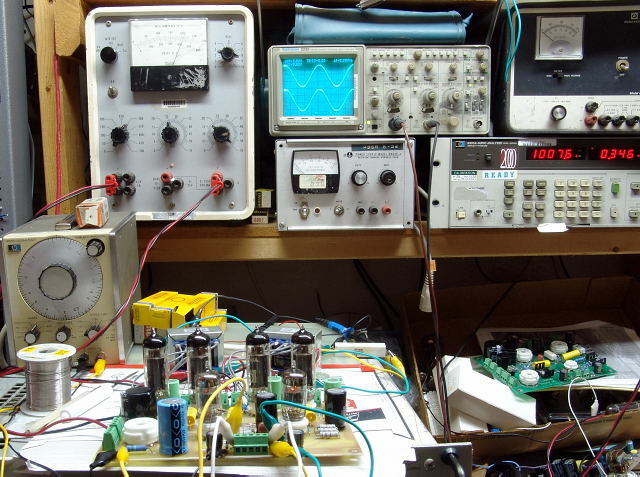 Posted in: Amplifiers, Boards, Personal, Site. Tagged: SSE, TSE. I am posting this minor update (from a hotel room with free internet) to add the pictures from the 2006 Mopar Nationals including an entire page of pictures of the 2008 Dodge Challenger concept car. It was announced that production of this car will commence in April of 2008. I have done some minor reorganization of the site to make room for more pages in the future. Everything is still here, although some pages (and their links) now have their own sub page. I have been working on the assembly manual for the SSE amplifier. My return (and the manual) has been delayed by car trouble. Try to find an oil pan for a Volvo in rural West Virginia. The break in my work schedule lasted for 7 days (I knew that it was too good to be true). The SSE boards are in and three amps are already up and running. I can build these boards in about 45 minutes each, they go together real easy. I am already working on the construction manual. I have gathered about 500 pounds of transformers which will all be tested and the results posted here (two transformers are already done). I will be out of town for most of August, so there will not be much activity until September. I finally got a break from my relentless work schedule (it won't last) so I have been updating the web site every night. I have added (or finished) several pages in the Tech Pages and Tested and Proven Circuits sections. 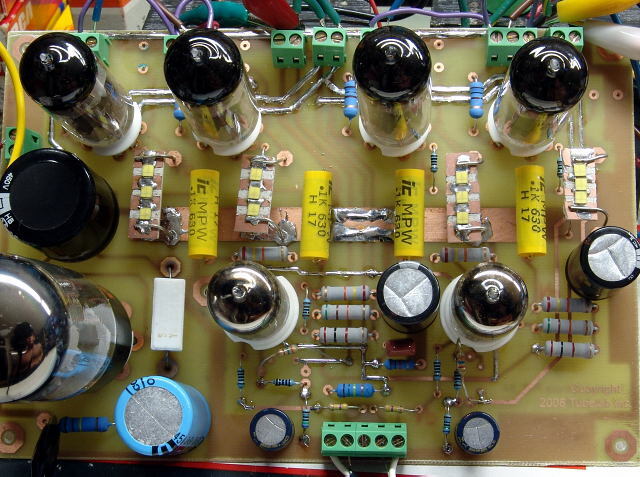 These pages were created to explain some of the experiments that began as a thread on the diyAudio forums. Some of the material is directly cut from my contributions to those threads. Some additional material has been added. The SSE section has been updated, and will continue to be updated as more info becomes available. The PC boards are on order. 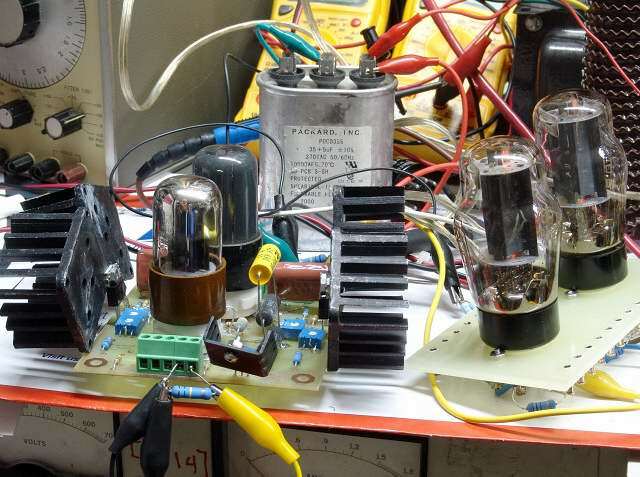 My amp has been stressed tested in several ways, including me playing guitar through it, and plugging it into a Variac and cranking the input voltage to 135 volts while playing rock music at full volume! It is still going strong. I have added some text and old pictures to the Tubelab SE assembly manual. I sold every assembled board that I had during the time that I was too busy to build any (the past 4 months). The pictures (text too) for the checkout and bias adjustment pages were lost last year. I have finished assembling a new board, and the new pictures will be shot this weekend. I will add them to the site ASAP.